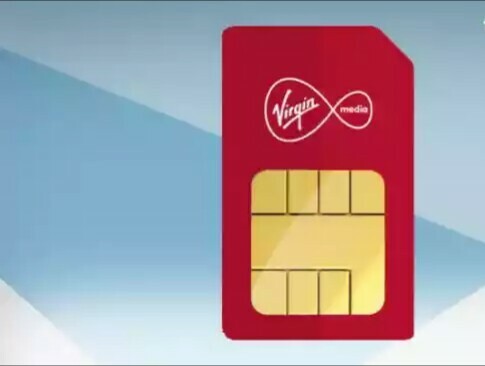 Virgin Mobile has introduced what is undoubtedly the cheapest data SIM with a whooping 100GB of data inside and costs just £20 (about N8,300). It is a new SIM-only plan that Virgin Mobile announced today as part of its new Flash Sale. You also get 5000 minutes for calls too. Just how much data does one person really need with their mobile phone plan. Can't get through the daily commute without the company of a Netflix box set? Want hundreds of podcasts available to download at all times? Need access to multitudes of Spotify playlists for long walks and car journeys? Then you probably want a SIM only deal with a huge data allowance. If that sounds like you, then your ears are bound to prick up at the prospect of Virgin Mobile's latest SIMO Flash Sale. The network is offering an enormous 100GB SIM plan of data for only £20 per month. But you'll have to snap it up quickly, as it's set to end at midnight on February 21. There is a catch however, we're afraid. We've taken a look through Virgin's acceptable use policy (a real page turner) and found that after you've used up your first 3.5GB in a calendar month, your data use will be restricted to 3G speeds. According to Virgin Mobile, 3.5GB is the equivalent of around 16 hours of high quality video. So you'll have mountains of data, but without the sheer speed of 4G. What alternative SIM only deals are there? If you like the look of this Virgin Mobile deal but that 3.5GB 4G limit puts you off, then Three SIM only deals are probably your best bet. Renowned for its excellent value on big data deals, you can get 30GB of data for the same £18 monthly price on Three. The difference is that your speeds won't be limited at all - that's why this tariff won the inaugural Best Phone Deal award at last year's Mobile Choice Consumer Awards! 100GB a month somehow not enough for you? Then head over to our pick of the best unlimited data SIM only deals. You'll see that Three again leads the way with the most attractive tariffs. Giffgaff does manage an unlimited data SIM for only £20 per month, but you'll be in a similar boat to Virgin - your speeds will be squeezed the minute you surpass 9GB of use in a month.